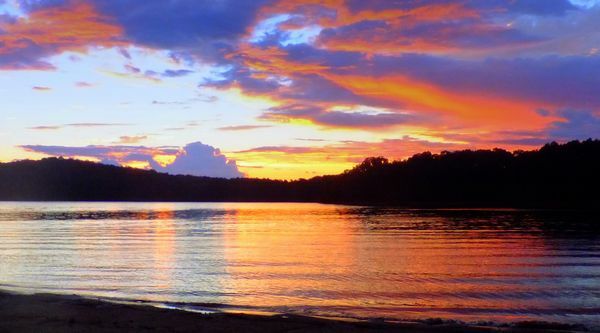 On the Georgia/South Carolina line at the base of the Blue Ridge Mountains, Lake Hartwell features 962 miles of shoreline and 56,000 acres of some of the best boating, water-skiing, and fishing in the southeast. Lake Hartwell serves 14,000,000 visitors each year. The "Normal" lake level is 660' above sea level. If you’re considering a lake home, Lake Hartwell may just be the destination of your dreams. Bordering South Carolina and Georgia, Lake Hartwell is on the Savannah River, just south of where the Seneca and Tugaloo Rivers meet. Lake Hartwell is one of the largest lakes in the southeast, offering endless recreational activities and fun for all ages. While Lake Hartwell is a bit like a private paradise, you are never too far from the conveniences and attractions of modern life. Within a 2-hour drive of Atlanta, Georgia, and Charlotte and Greenville, South Carolina, you’re always within reach of the action of big city life.